In A Dark Place, set in a small American town, everyone is lonely. Especially Donny. Oh, he has things to do, just like everyone else. Donny (Andrew Scott, Sherlock, Spectre), is a sanitation worker, teamed with his blunt-spoken partner and best friend Donna (Bronagh Waugh, The Fall), but they are never pressed for time -- are they the only sanitation workers in town? -- and so they are quite leisurely on their route. Donny drives the garbage truck with fastidious attention to detail, while his partner hauls in the garbage cans and talks. That suits both of them just fine. Especially Donny. Returning home every day, he prepares dinner for his widowed mother Betty (Sandra Ellis Lafferty), who is confined to a wheelchair, and then Donny usually heads out somewhere ... anywhere ... there's not too many places to go. On Tuesday evenings, he visits his 11-year-old daughter, Wendy (Christa Beth Campbell), who is bright and studious and loves her daddy, in stark contrast with her mother, Betty (Denise Gough, Colette), who always gives Donny hell. We wonder how such a gloomy couple could have produced such a precocious child. Especially Donny. As tipped off in the opening sequences, a little boy is found dead, and that serves as a catalyst for Donny. Piqued by the tragedy, he is moved to express his condolences to the boy's mother in person, and her response piques his curiosity further. Did the little boy wander off on his own, stumble into a river, and drown, as the local authorities conclude? Or was he the victim of unknown, likely nefarious characters? Donny manifests certain speech patterns and a coarse tone that suggest strongly he has a completely inability to blend into polite society. Not that the townspeople themselves are terribly polite, but still, the ones who have known Donny for years exercise restraint and display understanding for his condition. In bringing this cantankerous protagonist to life, Andrew Scott first establishes Donny's mannerisms and personality tics, before his more aggressive tendencies are demonstrated. This is a credit to his thespian abilities, to be sure, and also a reflection upon an original script by Brendan Higgins (his first screen credit) that doesn't force the issue too soon. It's terribly difficult to "root" for Donny, necessarily; he's more the sort of person one tolerates and indulges to some extent before getting away from him as quickly as possible. His personality flaws are more outwardly apparent; like everyone else, of course, he also has very positive qualities that are hidden below the surface. Scott's performance, drawn from a strong script and aided by empathetic direction from Simon Fellows (Malice in Wonderland, Until Death), slowly builds a case in his favor. Marcel Zyskind (The Killer Inside Me, Mister Lonely), director of photography, captures the landscapes and atmosphere of the small town with gloomy aplomb. 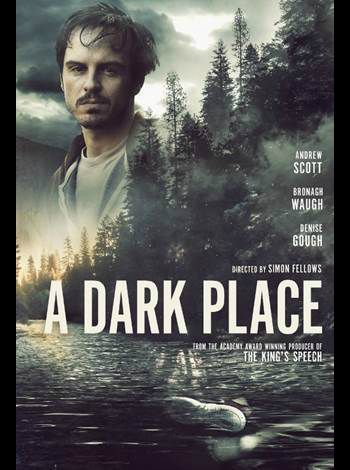 Although A Dark Place is a mystery-thriller, revolving around a very unusual detective, it's just as much a mood piece and a character portrait. 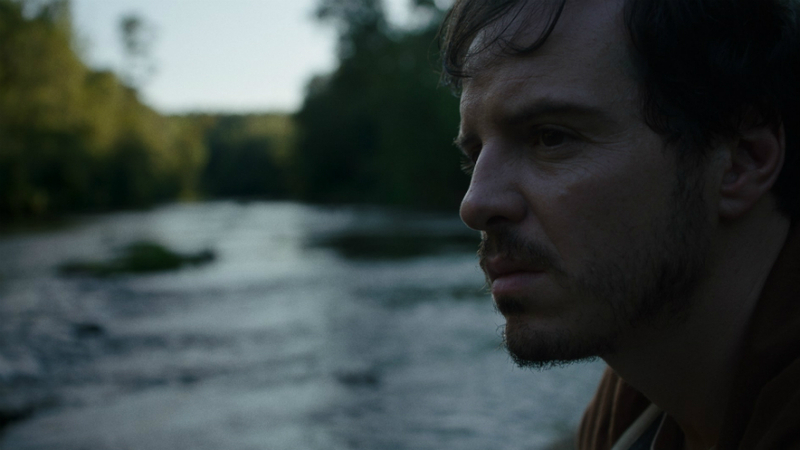 Low-key it may be, but Andrew Scott's performance, especially, makes the film noteworthy. The film will open in select U.S. theaters on April 12 via Shout! Studios, and will also be available On-Demand.